One of the great things about this time of year are all the specialty flavors that come out. 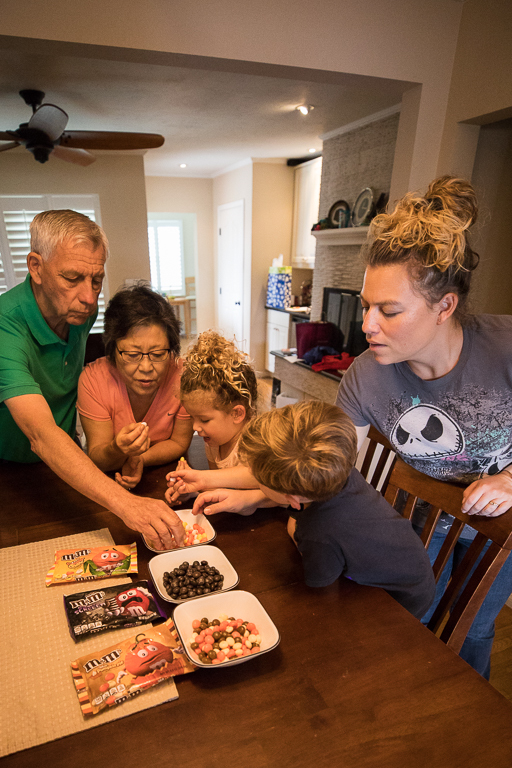 Earlier this year we sampled 17 different M&M flavors. 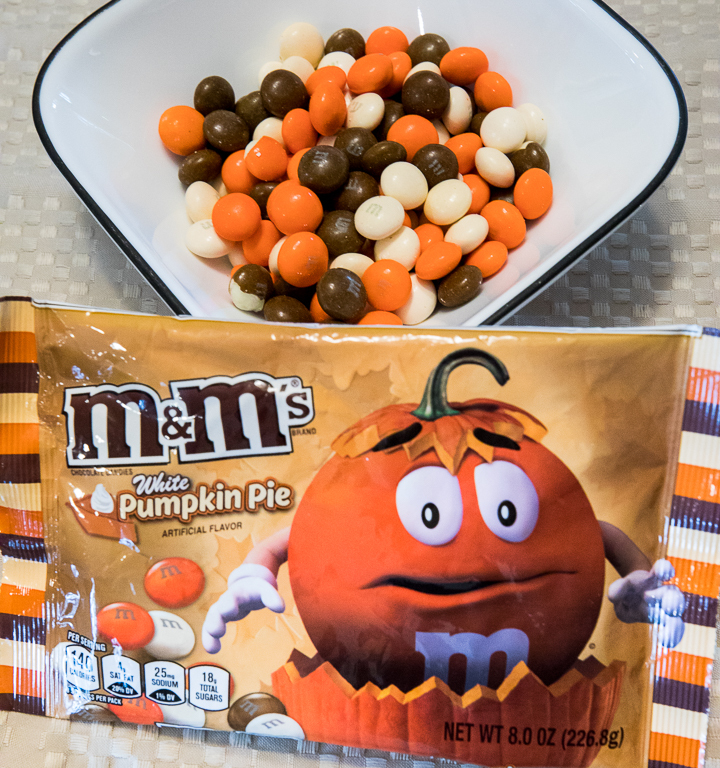 For Halloween, M&M has introduced 3 flavors. 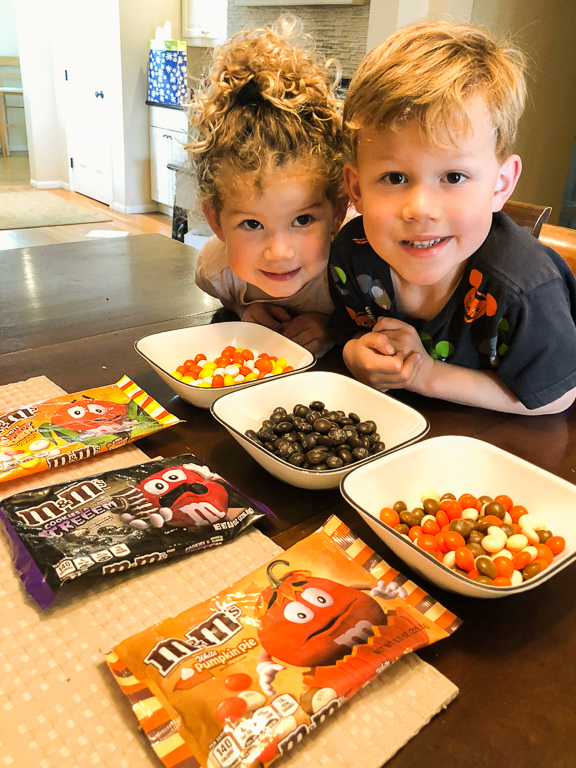 I know Candy Corn is a returning flavor because we sampled it back in 2016. 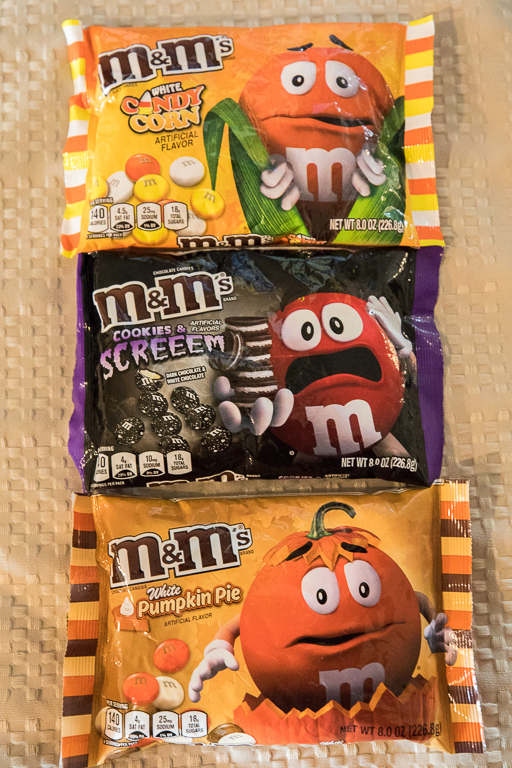 New to me this year are Cookies and Screeem and Pumpkin Pie. I like how they don't just use normal packaging. There is a whole cast of M&M characters now and they get put in all kinds of situations. Crispy always looks so paranoid. I was wondering why he wasn't on the Screeem package, but I guess he doesn't really full freak-out mode. Time to taste test them all! 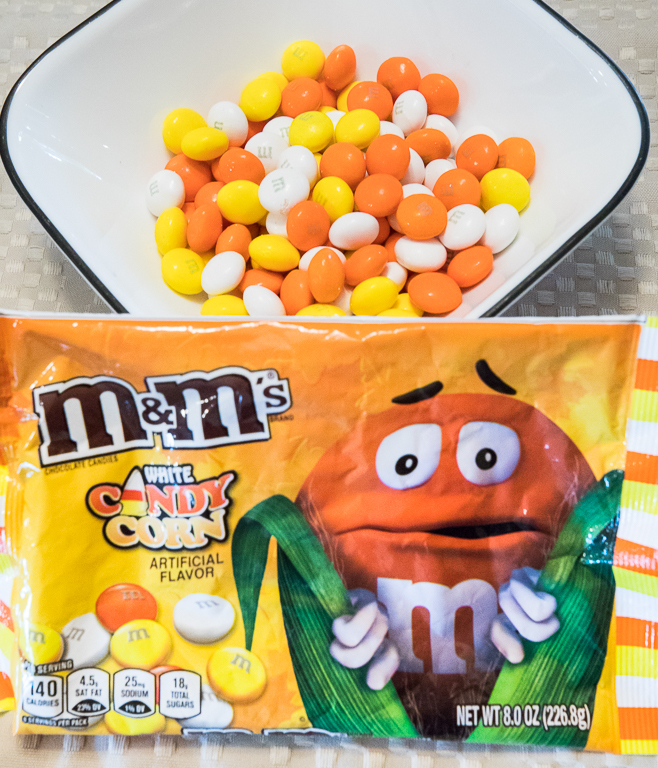 First up are the Candy Corn M&Ms. They're completely white chocolate and super sweet. I don't particular care for candy corn, so I don't have a strong handle on the flavor. I don't know if I could tell if these were any different than regular white chocolate M&Ms. Not my favorite. 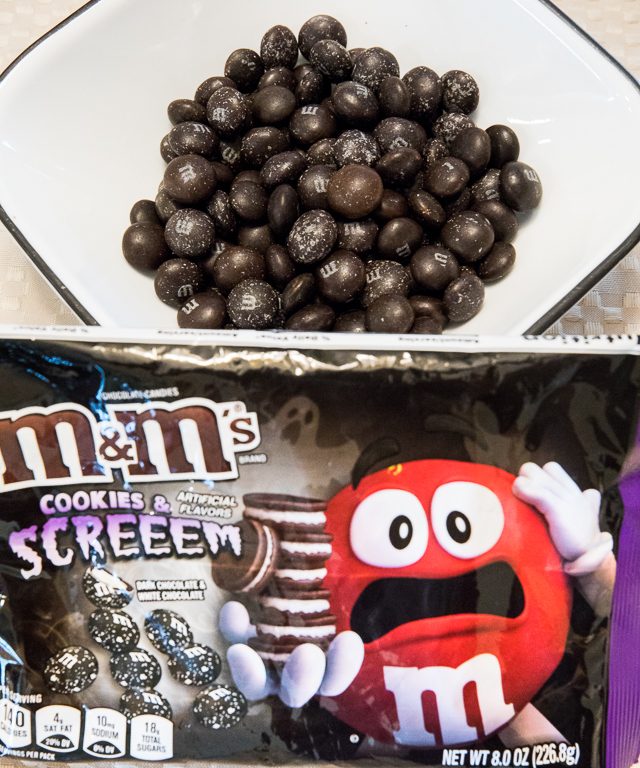 Next are the Cookies and Screeem M&Ms flavored with both Dark Chocolate and White Chocolate. The room was divided on this one. Theresa picked up hints of black licorice and that seemed to be the dividing line. If you liked black licorice you liked this one. If not, then Cookies and Screeem was a no-go. Last up was Pumpkin Pie. In this case the white chocolate really works because the creamy white chocolate mixed with the pumpkin pie spice tastes like a great fall treat. It was the favorite of everyone. Yum!